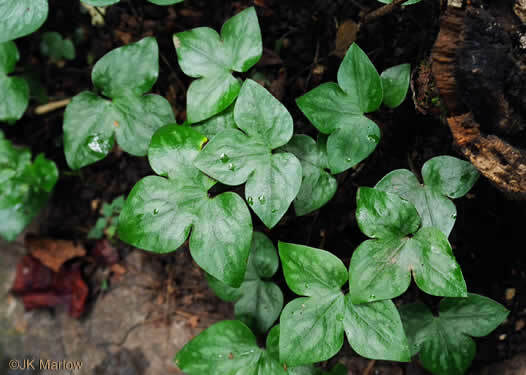 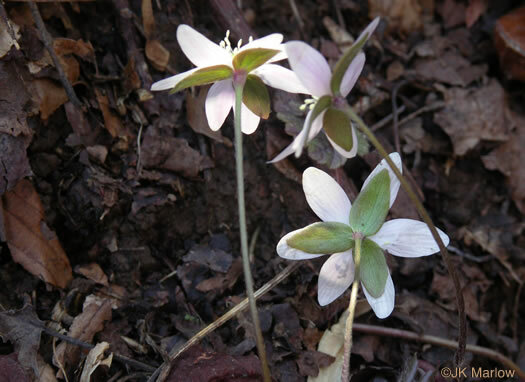 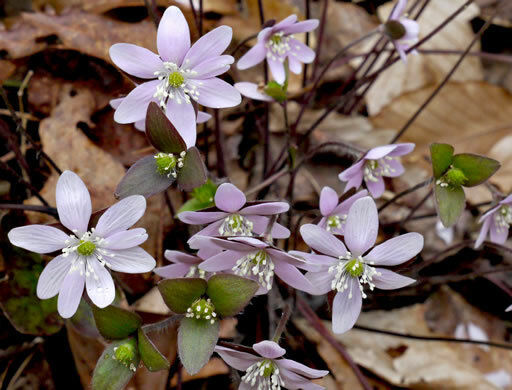 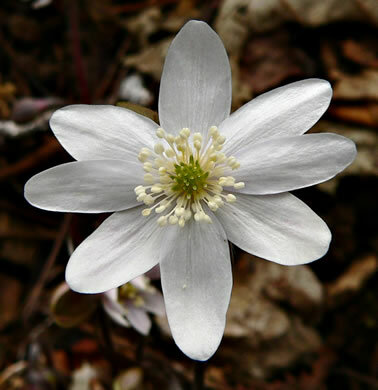 Your search found 8 image(s) of Hepatica species. 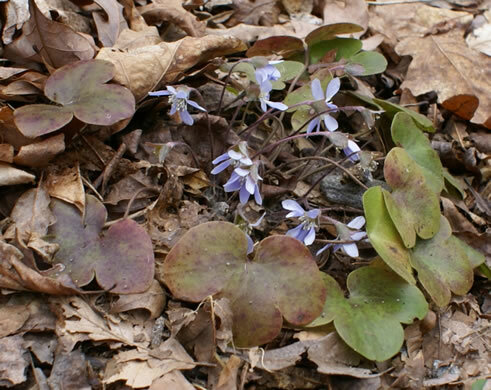 Leaves 3-lobed with rounded tips, wider than long, persisting thru winter, per Wildflowers of Tennessee, the Ohio Valley, and the Southern Appalachians. 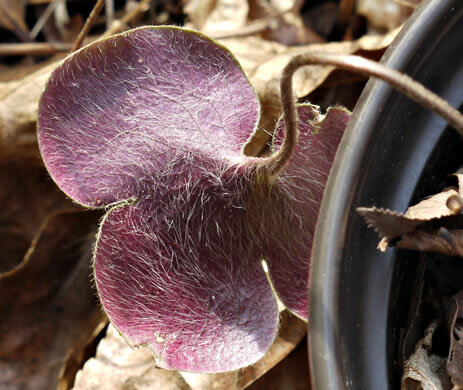 Leaves purplish beneath, per Vascular Flora of the Carolinas. 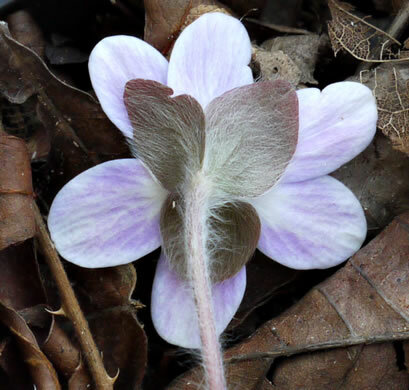 Flowers on hairy stalks, subtended by 3 green bracts with rounded tips, per Wildflowers of Tennessee, the Ohio Valley, and the Southern Appalachians. 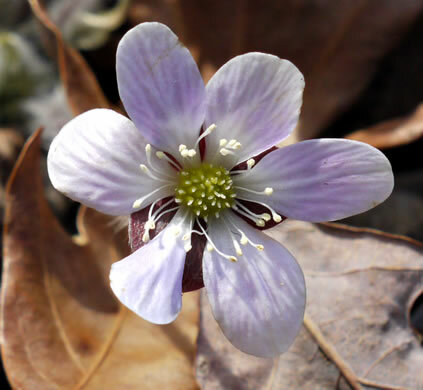 Flowers have 5-12 sepals (no petals) & numerous stamens & ovaries, per Wildflowers of Tennessee.